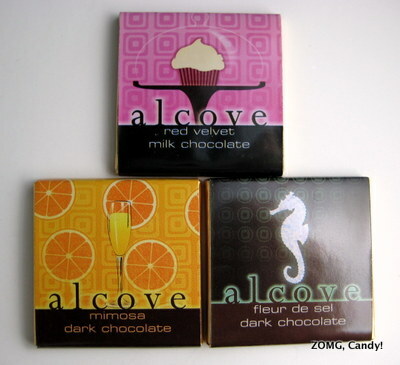 Alcove Chocolate, a So-Cal chocolate brand that has now expanded beyond California, recently released 12 (12!) new chocolate bars. I got sent free samples of the full-sized bars, plus 3 of the flavors in miniature square version (they call them mini tiles), for review. I’ll start with the mini tiles, Fleur de Sel, Red Velvet, and Mimosa. 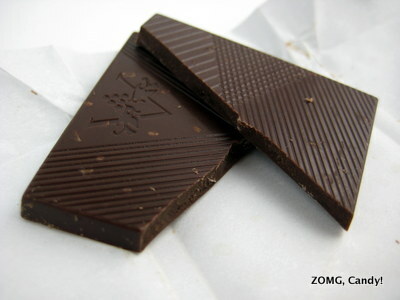 Fleur de sel dark chocolate was a “64% cacao complimented with natural sea salt.” The thin 1.5 x 1.5-inch square had a sharp snap. It started off slightly sweet, then took on a salty smokiness from the added sea salt. The melt was smooth and only broken up by the crunch of the salt crystals. Red Velvet milk chocolate was described as “velvety, smooth red milk chocolate layered with flavors of cheesecake frosting and chocolate cake.” It had the same red-brown tinge of a red-velvet cupcake (which, at least in cupcakes, probably comes from food coloring). 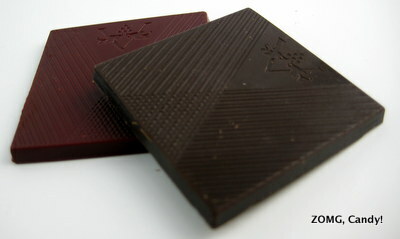 The Red Velvet square had a soft break and a thick and creamy melt, as milk chocolates should. It was quite sweet, with cocoa powder notes to start, then took on a slight sour tang. I thought it did an excellent job of capturing the flavor of red velvet cake + cream cheese frosting. 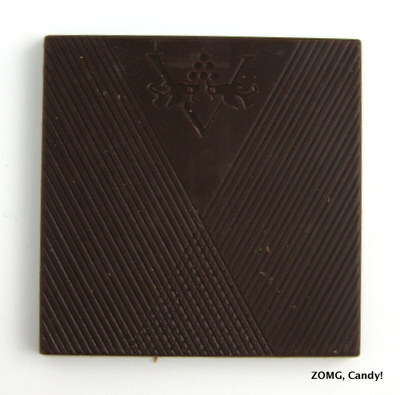 Finally, Mimosa dark chocolate was loquaciously billed as, “the ultimate ‘choctail’… 64% dark chocolate with essences of fresh orange juice and sparkling champagne.” Its melt was creamy but slower to start. Mimosa tasted sweet for a dark chocolate, with strong citrus flavors from the start. The citrus notes were those of orange oil rather than orange zest – mellow and rotund rather than sharp and zesty. So far, a tasty assortment of chocolate bars that do a great job capturing exactly what they promise. I can’t wait to try the rest! An OM.